''First we had each other..than we had you...now we have everything'' I love this nursery quote so much and ofcourse i created one ! 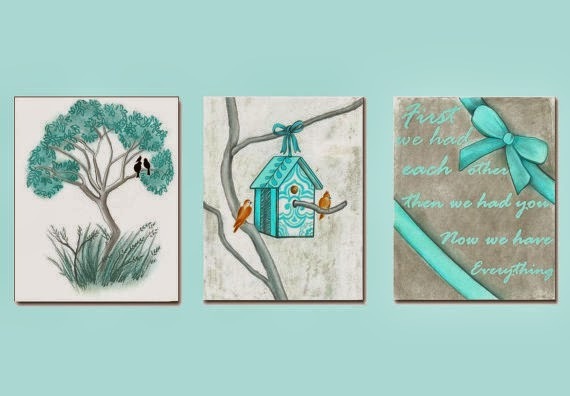 This Birds themed nursery in aqua blue bright colors is a peacefull and happy theme for your new baby! You can see here one of my favorite collection of items for the baby boy nursery decor!